These just flew in! ... And with great timing for the holidays. The Merry Merry Christmas Fairy is a new bead kit that's available at the Eclectic Goat in Northfield this December. Tiny as they are, they make for the perfect decorative add-on in gift wrapping or a personalized presents made into a necklace, earrings, or bracelet charm. 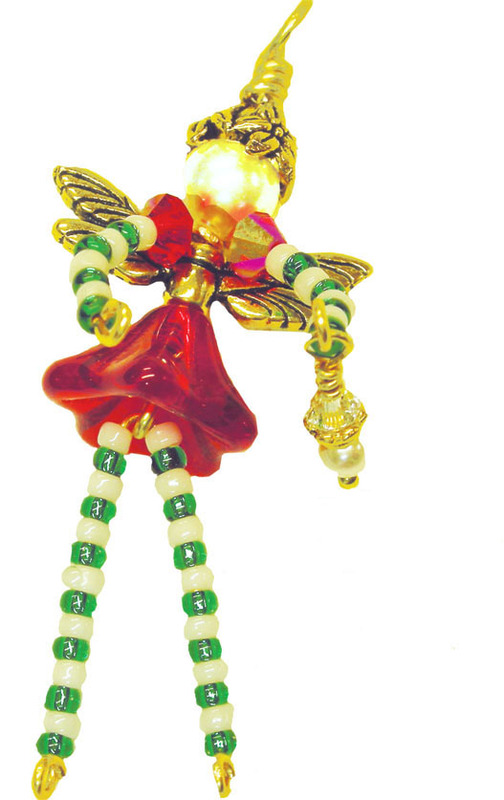 (ages 11 and up) Find these fairies at our Glass Garden Beads website.